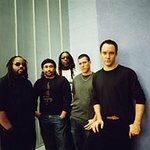 In response to the recent events in their hometown of Charlottesville, VA, the Dave Matthews Band will host an evening of music and unity that will be FREE for members of the Charlottesville area and University of Virginia communities. The event will take place on Sunday, September 24, at UVA’s Scott Stadium in Charlottesville. Doors open at 3:30PM. Tickets will be allocated initially to residents of the city of Charlottesville and the adjacent counties, and also to UVA students, faculty and staff with a valid University ID. An online ticket request period is underway at www.concertforcharlottesville.com and will end on Monday, September 11th at Noon ET. A limited number of tickets will also be available at a walk-up, no service charge box office at John Paul Jones Arena, on Friday, September 15th at 10AM ET. Please visit concertforcharlottesville.com for tickets and information.